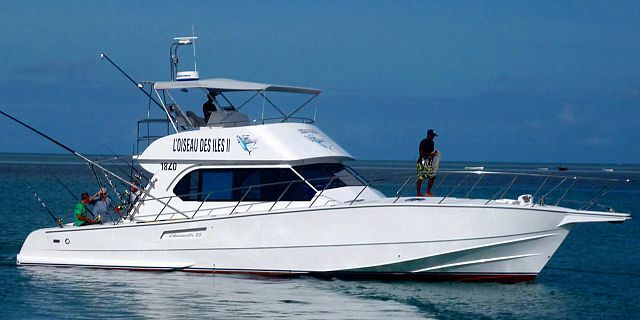 Overnight Exclusive fishing trip on a 53ft boat in Rodrigues! 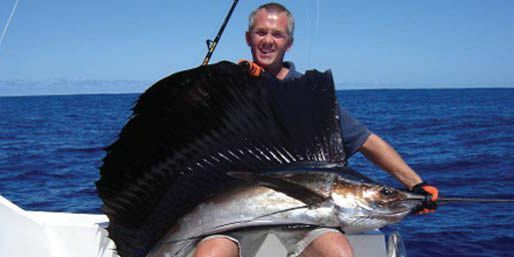 Rodrigues is one of the best “multi-fishing” destinations in the world surrounded by a large continental plateau. The entire plateau is covered with numerous spots (small underwater structures as "coral mushrooms") perfect for jigging and bait fishing. 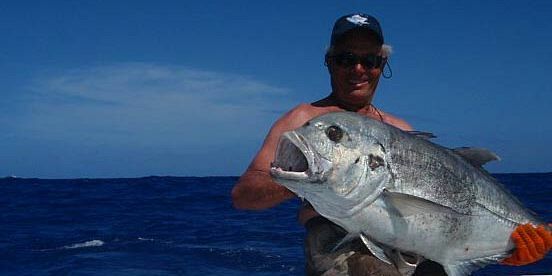 Looking to discover a virgin fishing destination? Are you up for a once in a lifetime adventure? Look no further! This is definitely the ideal trip for you! 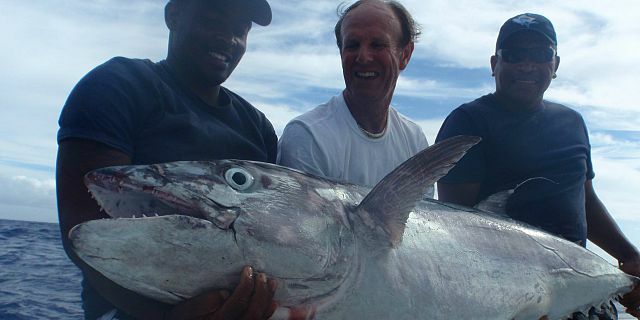 This overnight fishing trip – duration of 2 days / 1 night (34 hours) is all about doing the extraordinary, discovering a true heaven on earth with various astonishing species and having a lifetime memorable experience. 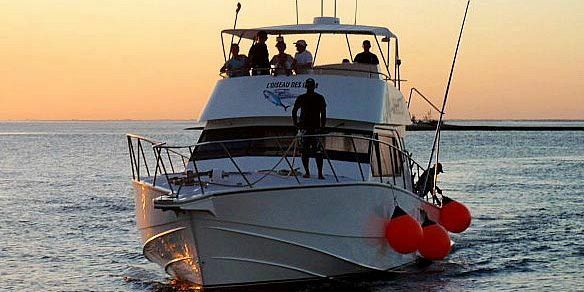 On-board a 53 feet boat you would head for about a 34 hours of adventure for the best fishing experience of your life. 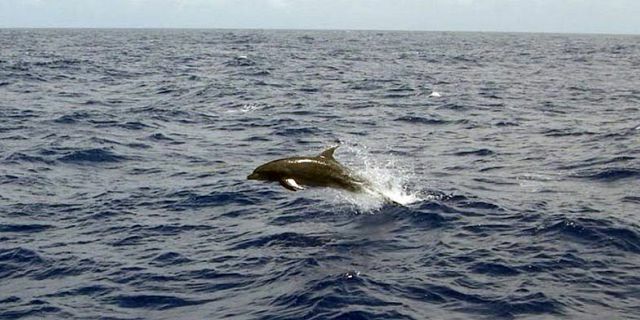 You can choose to either have an extended tour around Rodrigues or go sea-hunting on the East Bench. 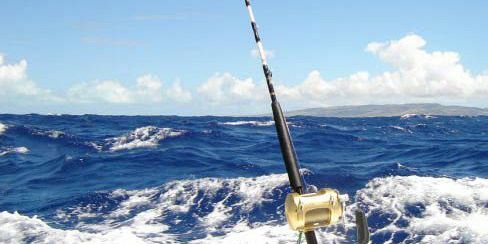 The boat departs at 08:00 from Port Mathurin for a thrilling adventure at sea: two days of heart-stirring fishing and a nomadic night at sea. Night fishing is an experience filled with emotions. 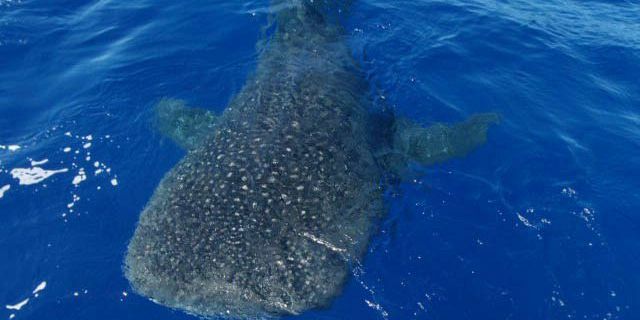 During this trip, you will sail for more than 6 hours to the outer sea where you can find a greater variety of fish species in abundant numbers. 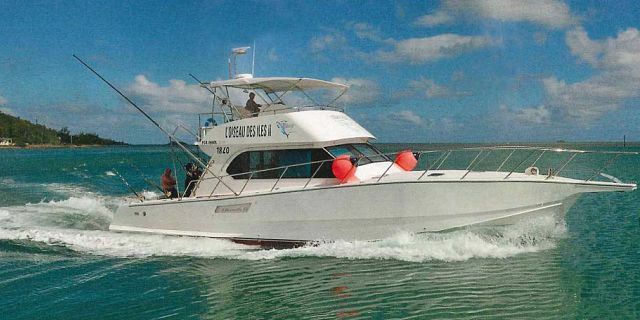 With a maximum of 5 participants, you will enjoy the boat exclusively for yourselves accompanied by two very experienced fishermen known by the locals as the Gods of the Rodriguan waters. 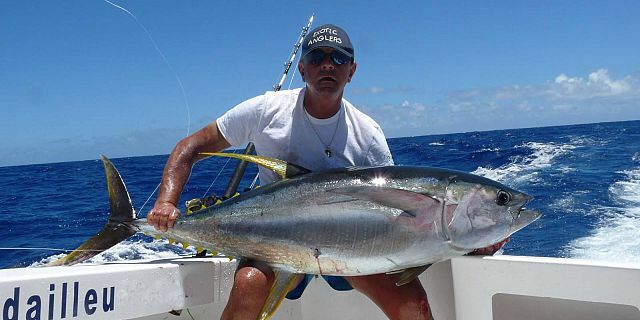 As part of the trip, you will discover a wide range of fish species within a few miles of the port (ditto rate for 2 days/ 1 night on the East Bench). 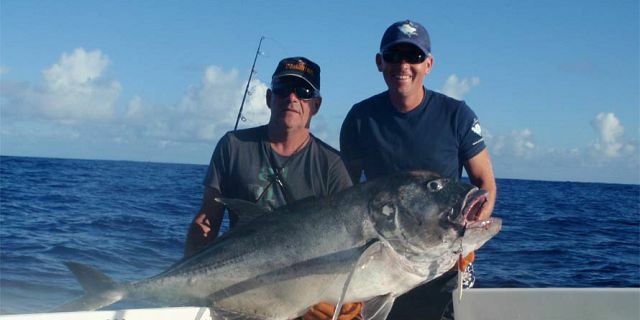 Be warned, some ‘fishing fights’ can last for monstrous hours! During the night, the boat will stop at sea for the night stay. It is one unique opportunity to feel the rhythm of the waves while you doze away from the tumultuous landlife. The East Bench - Located 50 miles east, there is a huge structure offering more than 2000 meters of altitude. This half ‘Mont Blanc submarine’ is spread over an area of 100 km2. Peaking at 41 meters below the surface, it is a real springboard for the ocean currents which, hitting them, create marvelous upwelling, replacing cold, denser water brought up from the subsurface. Full Board stay consisting of 3 meals a day (breakfast, lunch, dinner) and drinks; all to be provided on board. After a memorable time on the deep sea, the boat will drop you back on shore at around 18 00 at Port Mathurin on the second day of the trip. What is included? All included in the price! Coffee / tea / milk; slices of toast / bread; butter / jam. Generally, you can expect a mixed salad (with rice, pasta or potatoes) served with fresh fish, or chicken or sausages. As desserts, you can have fruits and home-made cakes. The dinner menu consists of a hot meal with meat and vegetables—and dessert to please your palates. Only non-alcoholic drinks such as water, soft drinks (Coca-Coca, Sprite…) are provided on the boat. Note: in case you are vegetarian we would request you to please inform us in advance in order to make the necessary arrangement for you. Technically conceived and designed for Rodriguan waters, the boat is very comfortable for ‘fishing raids’. Power, performance, comfort and security define this monohull cabin-cruiser. It has a real computer that re-records with extraordinary precision: you can see 3D training canyons, coral heads, walls or trays as if there was no water! Very stable and which can maintain up to 5 days of autonomy. D'UNIENVILLE 53 feet (16,16m x 4,70m). Engines: 2 x 5OO CV YANMAR Inboard. Fuel tank: 2 x 2500 litres. Fully equipped kitchen (sink, gas hub, oven, built-in cooler). Large living room, wide seats, plenty of storage, CD player. 3 individual cabins with air conditioned (10 beds in total). Large living room to fly bridge with large table and beaches (12 seats). 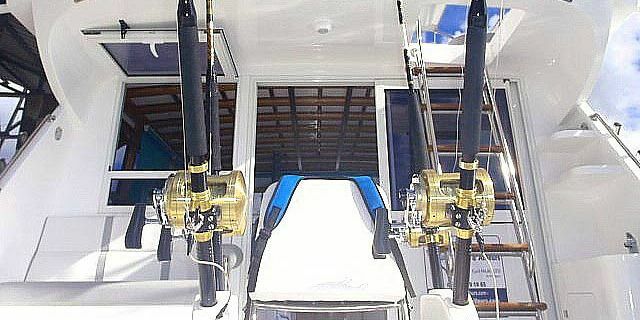 Spacious back deck: 5 jiggers can fish side by side. What was traditionally a small-scale activity and a livelihood support has developed into an internationally-famous sport today for the worshippers of fish. 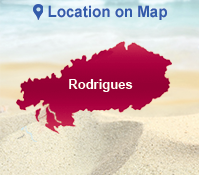 Rodrigues’s location is strategic, with its outer reef edges miles away from the coast and shoals rich in fish; the sea around is bountiful. 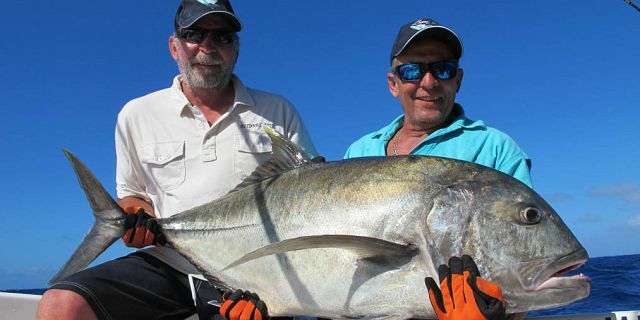 It is of no wonder that the island is a holder of world fishing records; for specialists, this is only the beginning of a long series of many other records to come. 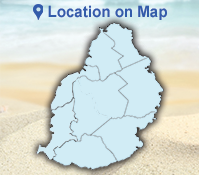 In Rodrigues, you can find two ideal fishing periods: from October to June, and from December to April. 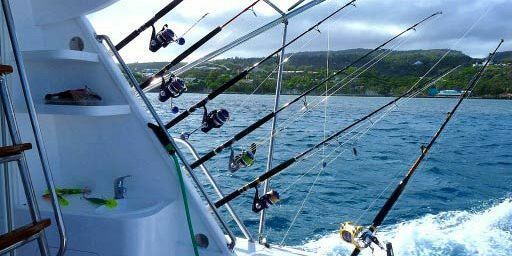 Also keep in mind one important thing: where the sea is too easy, fishing has become very hard. Maximum number of passengers for the overnight excursion is 5. You can bring your own equipment. 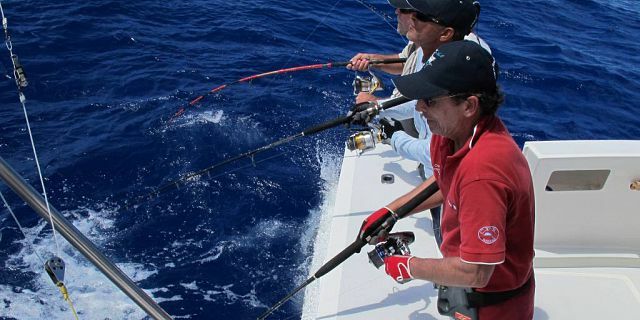 It is advisable to bring any perishable material: hooks, lures, bottom line, etc.